Works with any 115V sump pump up to 1/2 H.P. 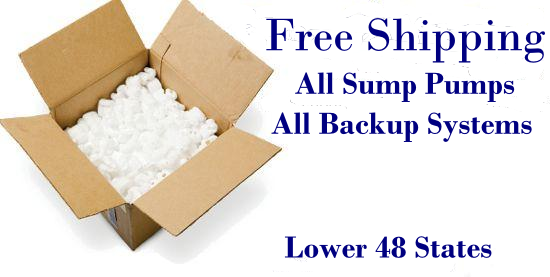 These SumpPro sump pump battery backup systems utilize reliable heavy duty AC sump pumps and inverter. Fully automatic, converts 12V battery power into standard 120V electricity to run the StormPro sump pump when the power is out. The StormPro sump pumps supplied with some of the systems are extremely efficient providing longer run times while operating on backup power. Can use the Power Plus deep cycle maintenance free AGM batteries that perform better and last twice as long as the standard type. Two indicator lights tell you the status of the system at all times. Protective non-corrosive electronics enclosure and battery case. Made in the USA. All of theses SumpPro systems offer significant savings as compared to purchasing products individually.